Hubert de Givenchy launched his couture house in 1952, making this drawing an early illustration of his work. From the beginning his clothes showed the youthful, understated purity of line that is associated with his work. 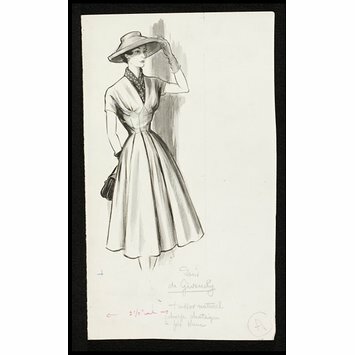 Although designs such as this short-sleeved, full-skirted day dress often appeared deceptively simple, the effect was achieved through skilful construction, cutting and use of proportion. Fashion drawing. 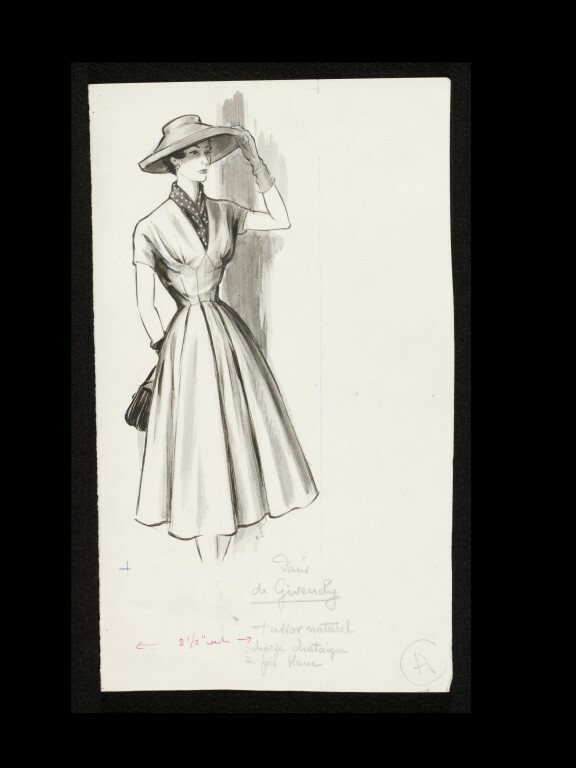 Woman in a tailored day dress by Hubert de Givenchy with a V neckline filled in with a polka dot scarf and short sleeves, the skirt full. Worn with a wide-brimmed straw hat, dark gloves, and a handbag. Pencil notes give designer, fabric and colour notes. 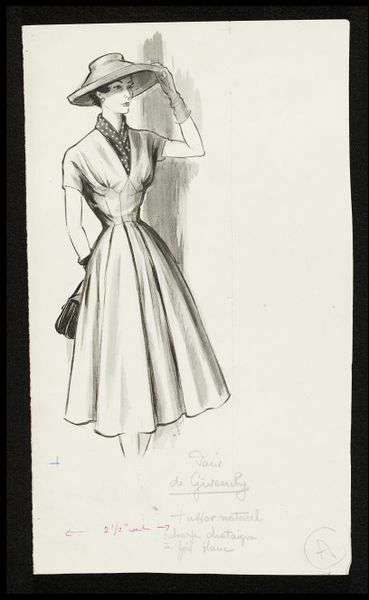 Hubert de Givenchy launched his couture house in 1952, making this a very early illustration of a Givenchy dress. It shows the youthful, understated purity of line associated with the designer. Although the effect is young and deceptively simple, it is achieved through skilful construction and seaming at the waist.